Home / Geek Life / Cosplay/ Nerd Fashion / Big Changes ahead at BlerdyMomma.com!! Big Changes ahead at BlerdyMomma.com!! Hey guys! I know it’s been a while. I picked up some new clients with my VA business and they definitely keep me busy, but I haven’t stopped being Blerdy Momma. Never gonna happen! Soooo…. maybe you’ve noticed some changes happening around the website. Like a lot of changes. Surprise!! 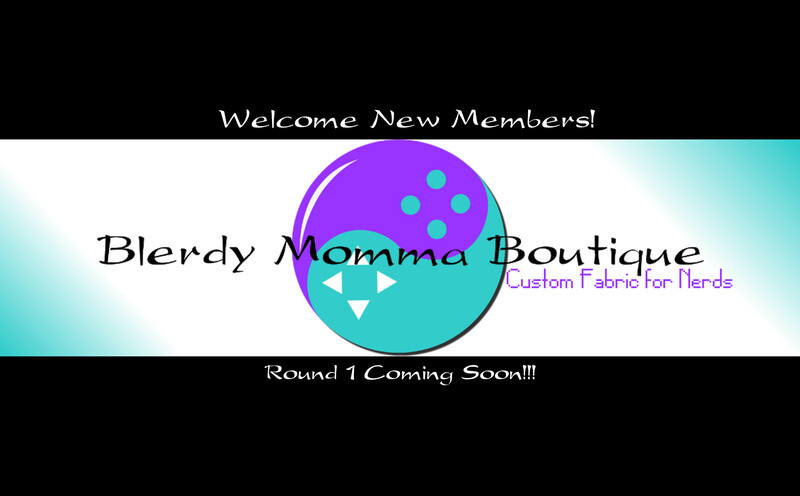 I’m turning Blerdy Momma into a custom fabric shop. Isn’t that cool? I love sewing. I wish I had more time for it because I just love putting together a new cosplay or piece of clothing and being able to see progress as it happens. Sewing is one skill I can say I learned entirely on my own, just me and the manual for my first sewing machine. It is now several years later and I’ve been introduced to the world of custom digital print fabrics. YOU GUYS!!!!!! This is what I’ve been looking for every time I walk into a big chain fabric store and don’t see options for my favorite fandoms. I’m so glad a friend put me on to these awesome sites. But you know what? Something was still missing. There are a million options if you want fabric inspired by some of the more “mainstream” fandoms. You can find Harry Potter, Dr. Who, or Game of Thrones fabric anywhere. Outside of Mario, I really didn’t see much video game-themed fabric. So here I am. Because I want Mortal Kombat and Final Fantasy inspired fabric just that bad haha. My goal here is to offer high-quality fabric with unique designs. I want those of us with less popular fandoms to have some options too. If you’re into that, bookmark the site and join my Facebook group. What’s your favorite fandom? I’m keeping a list of games and shows to inspire my future fanart designs. Come back soon to see what’s available in Round 1! Next post: Blerdy Momma Boutique is Almost Ready!